Who thinks the ice-bucket challenge is over? Is the ice-bucket challenge over? Done and dusted? Even boring? Geometric progression – each soaked individual challenging three others – meant it spread from celebrities like Bill Gates, to people like me within just days. I strongly recommend opening this map to look at how fast something can spread when it goes viral. That explains why every man and his dog is doing the challenge in your facebook feed. The history of the ice-bucket challenge is surprisingly deep. [source] Over a year ago a “cold water challenge” was getting limited traction on social media in America, related to charitable donation in general. It was low-visibility for a long time. Then in June 2014, at the start of US summer, it somehow morphed into an “ice-bucket challenge” and first got into mainstream media via a golf channel. In mid-July, golfer Greg Norman challenged an NBC TV anchor who completed the challenge. At around the same time, another golfer tied the ice-bucket challenge to ALS, a disease which kills nerves in charge of movement in the brain and spine. The rest is history. There is a lot of dispute about the “rules” of the challenge. Do you tip the water on your head AND donate? Or are they alternatives? This ambiguity seems to actually help. Some can afford to donate a lot, others only a little, but everyone can to play the game. That helps it move forward. 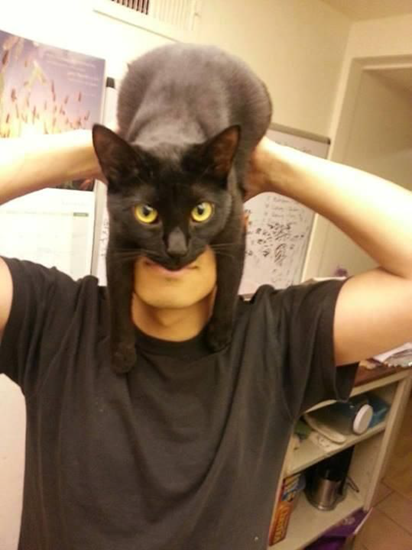 But this is more than just another viral trend, like cat batmans. The gold at the heart of the ice-bucket challenge is making middle-class philanthropy public. 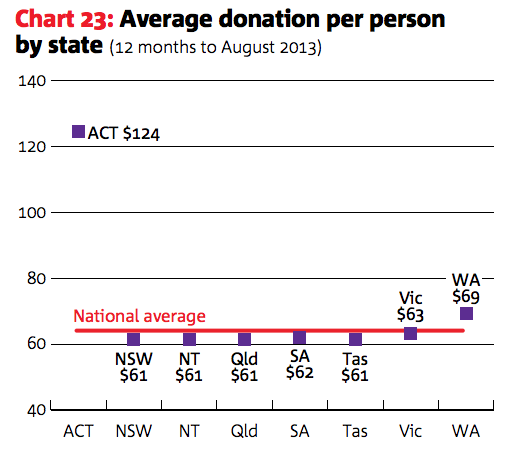 Australians gave on average $64 last year, according to research by NAB. But mostly, you don’t hear about it. Perhaps if you dig into someone’s Movember page you can see who is generous. If you do a charity fun run you know who digs deep. But mainly, giving by average middle-class people is anonymous. 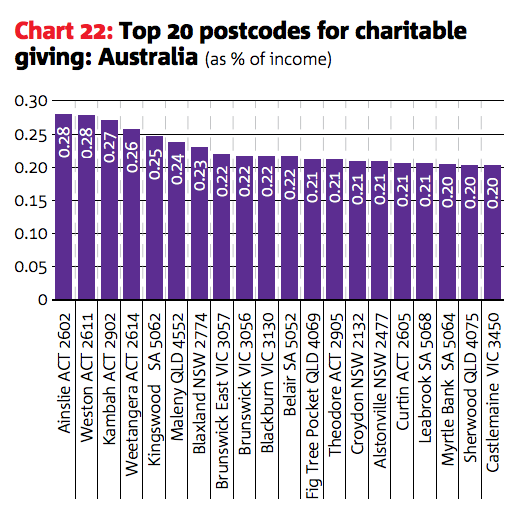 This is despite that fact it is established that social pressure encourages donations. Is it a coincidence that the very wealthy give a lot and they give in public? The Shane Warne Foundation. The Sidney Myer Fund. That gets them kudos on top of tax deductions. And it stands to reason that the bigger the benefit, the bigger the donation. That’s basic incentive theory. The ice-bucket challenge’s charm is this: you no longer need to provide enough funds to build a new library at your alma mater to be able to be recognised for your philanthropy. If you’re especially high-minded this might seem tacky, but you can’t deny it. People want something in return when they give. Social media stardom and recognition, it turns out, is enough. This is actually a really good thing. Even if you have begun to find the ice-bucket challenge boring, and think “donating for likes” is crass, you can’t deny that seeking likes for donating is better than seeking likes for a tropical poolside recline, or for a photo of some toast that looks like David Beckham. Mosman, Balmain and Vaucluse top the list in dollar terms, but not percentage terms. The charity sector will have failed if they do not capture the current public enthusiasm for low-level philanthropy. Expect to be challenged to donate to something else very soon! Previous Previous post: Innovation: the Concept that Couldn’t. Next Next post: A fact you never guessed about our 21st century, hyper-speed labour market.